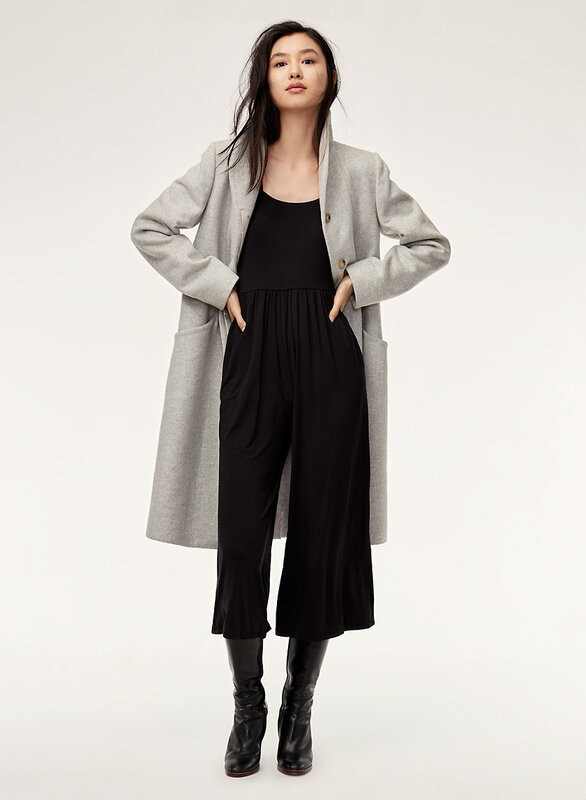 Styled with cocoon wool coat long . 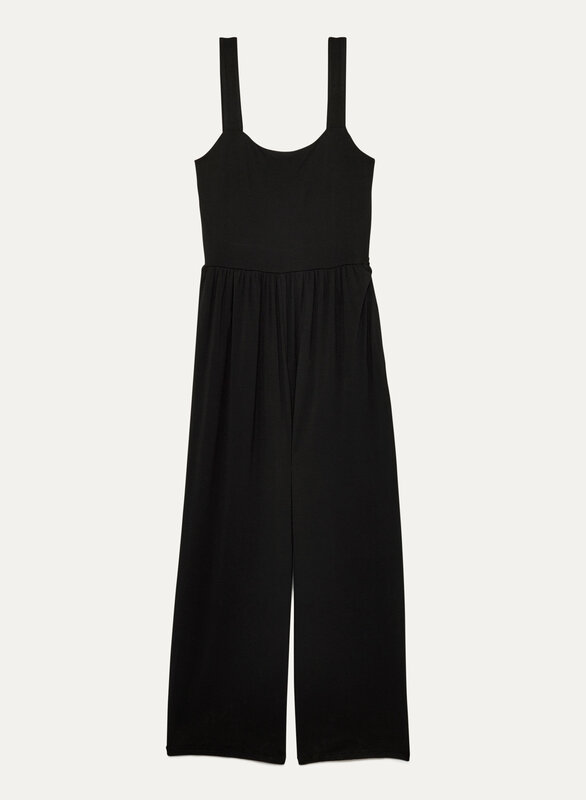 Meet the jumpsuit version of the Assonance Dress. Just like the original, it's made from a smooth fabric with a bit of stretch for a comfortable fit and great shape retention. The fitted bodice makes for a flattering silhouette.